Here are some tips that will help you if you decide to change your life and depart to Dubai. Dubai can be a great working opportunity and an interesting place to live but being aware and informed about its rich and fascinating culture and lifestyle, that differs quite a lot from the European one. The Emirate of Dubai is the second largest of the seven United Arab Emirates but has the biggest population at over 2.1 million inhabitants. If you plan to find a job in Dubai you should keep in mind that the official language is Arabic, but most people both in and out the workplace communicate in English. The presence of so many different nationalities the English language finds common ground with most people. Also, the majority of road, shop signs and restaurant menus are in both English and Arabic. Dubai has won the bid to host the most awaited Expo 2020, which will give an amazing boost to its economy, and is expected to create over 270,000 jobs, so if you are planning to move take into consideration this unique opportunity. Finding a job in Dubai: getting a job in Dubai is not as easy as you might think, but not impossible either. Companies invest a substantial amount of money in the hiring process, that includes visa costs, flights, medical insurance and housing benefits. Learn some Arabic words: This is more for politeness than an actual need to learn Arabic as the most widely spoken language is English. 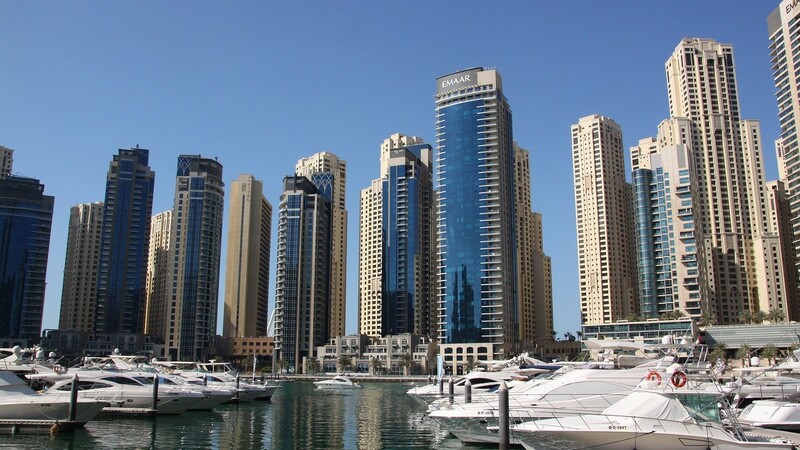 Most people that you will encounter in Dubai will be from around the world, including India, the Philippines, and Europe, however, you will meet other Arabic nationals from Lebanon, Egypt & Syria and having a few Arabic words handy will go a long way. Dress appropriately: covering your shoulders when in public places is always the appropriate way to dress. It is not absolutely necessary as Dubai is such a multi-cultural city nowadays. Misconception about Alcohol: There is a common misconception that alcohol is forbidden in Dubai. This is simply not true. If you are moving to Dubai, then consider getting an alcohol license. An alcohol license will allow you to purchase alcohol from any of the alcohol shops around the city. Culture and Religion: Emirati people are very proud. Proud of their culture, proud of their city and proud of their leaders, and rightfully so, as any nationals are of their homeland. Respect religious and cultural differences by taking the opportunity to learn and understand and make some time to talk to the local people. Follow local social media and news apps: Dubai Calendar app – you can download this app from the app store and it will give you up to date information on the upcoming events happening in Dubai, from concerts to comedy, opera, and theatre, and you can also purchase tickets via the app. Join local gyms and sports groups: Get out there, sign up and make friends. Just enjoy living and working in Dubai: If you make the most of your time living and working in Dubai and get out & about, you will soon find that you have friends from all over the world and many incredible stories to share. One important piece of advice we can give is to ignore the stereotypes and media hype about life in the Middle East and go without any prejudice. If you love our blog don’t miss any of our articles.